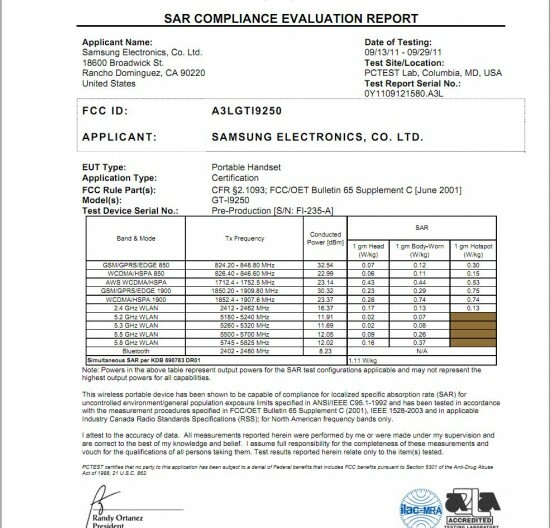 As if things couldn’t get anymore confusing surrounding the impending Nexus Prime launch, the Samsung GT-I9250 has just passed through the FCC today adding a little more fuel to the “two different Primes” debate. As you can see from the above picture, this GSM version — I9250 — is supporting both AT&T and T-Mobile bands but sadly no LTE. So why is this new info so confusing? Well, according to BGR, there will only be ONE Nexus device from Samsung dubbed the “Droid Prime” (SCH-I515) and that device is rumored to be a Verizon exclusive. Couple that information with talk of 2 different sites posting “exclusives” on 2 different spec sheets and — well, we’re just all mixed up at this point. There could very well be a Droid branded Ice Cream Sandwich Samsung device exclusively for Verizon followed up by a worldwide release of a GSM version (Galaxy Nexus). Let’s hope all is revealed at some point during CTIA next week. I need a Tylenol.